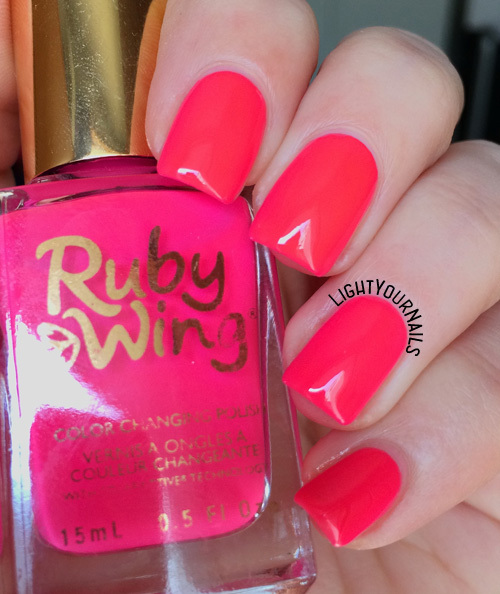 Ruby Wing Kitten Heels | Light Your Nails! Pure io sto tutto il tempo a fare dentro e fuori casa ahahaha! Che meraviglia *_* un colore stupendo! Grazie Chiara! Lo adoro veramente in entrambe le sue versioni! 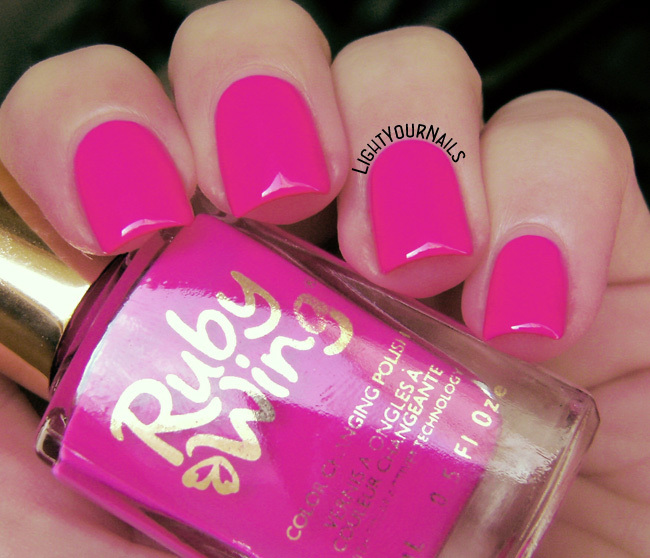 This is a gorgeous polish! I have a few Solar changing Ruby Wing Glitters, but I haven't ever tried their cremes before. 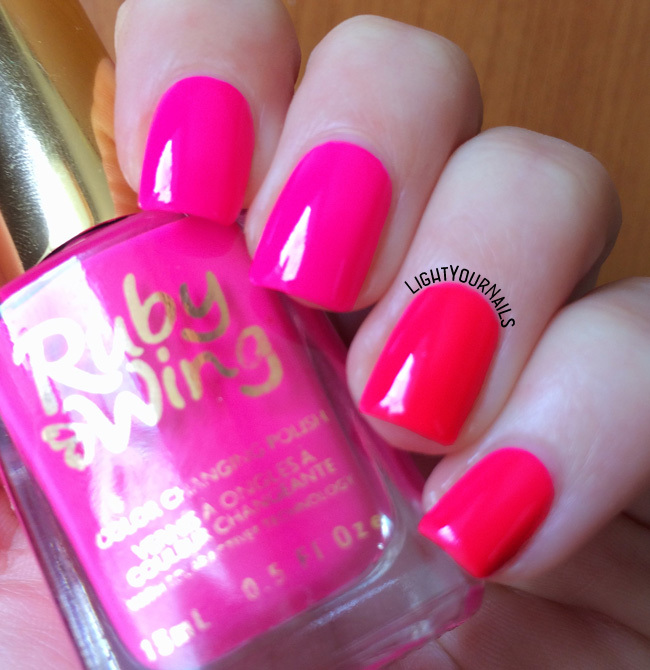 I love both the colors-- your swatches are absolutely gorgeous! I haven't tried these yet, but I love how the change due to the lighting conditions. Thank you Cat! I am always intrigued by polishes that change for some external reason/condition! This is so pretty! I've seen the brand around Five Below but never tried it. Might have to look into them. Bellissimo sia per la primavera che d'estate con l'abbronzatura, peccato che io sia un po' imbranata con l'applicazione! Grazie Giulia! Basta prenderci la mano, oppure armarsi di pennette pulisci-smalto, che sono così comode! It's awesome U V Response. Love the Color shift. Very pretty.